BP’s Exploration and Production segment focuses on finding reserves of oil and gas, developing the means to extract and process it and then consistently producing and transporting it to market. This involves using cutting edge technology to find the energy reserves, the ability to drill thousands of meters under the ground, designing, building and operating some of the world’s largest most complex production onshore / offshore facilities and finally being able to transport these fluids, in order to provide energy to the world. BP is the largest operator (excluding National Oil Companies) in the world with over 6.6MM BOE/Day gross operated production and operations in 25 countries on six continents. 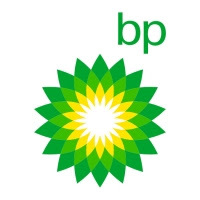 The largest community in BP’s Exploration and Production (E&P) Segment, around 6000 people work in operations, essentially delivering oil and gas from the wellhead to the market. Operations staff play a significant role at all stages of the exploration and production cycle – providing input to a project from early appraisal all the way through to full production. The Gas Supply Team Leader is accountable for safe and reliable operation of wells and normally unmanned platforms Vorwata Reservoir A (VRA) and Vorwata Reservoir B (VRB), and Onshore Receiving Facility (ORF) facilities. This includes during initial start-up, normal start-up and shutdown, normal operation, abnormal operation, emergency shutdown, and prepares for and returns from maintenance. The incumbent is also responsible for implementation of Preventive Maintenance (PM) of safety critical equipment at Gas Supply Facilities (VRA, VRB, Pipeline, pig receivers, ORF).